In the prior month, I published a review of Peterson Cartridge 6mm Creedmoor Small Rifle Primer brass, which happened to be the first native 6mm Creedmoor brass I acquired (not counting brass from Hornady 6mm Creedmoor ELD Match ammo). Overall, I was more than satisfied with the Peterson Cartridge brass due to the apparent high quality at a lower cost than Lapua brass. 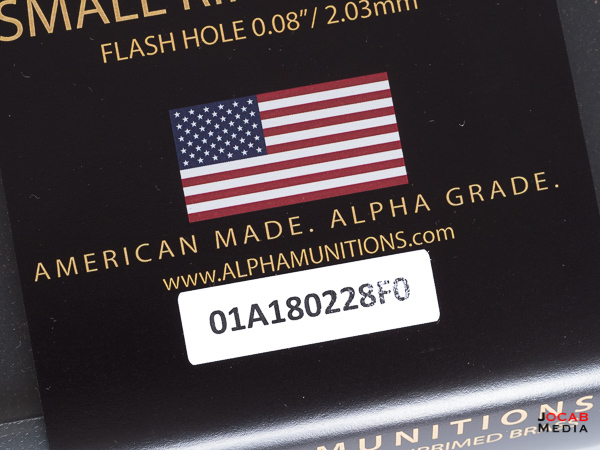 But another company by the name of Alpha Munitions has been spoken of more often in the 6mm Creedmoor community over the past several months. The reason why I passed on Alpha Munitions 6mm Creedmoor brass initially is because it was only available in large rifle primer pockets. I wanted to stick to small rifle primers for the proven consistency over large rifle primers, and primer pocket longevity. Also, I have a lot of match grade small rifle primers. 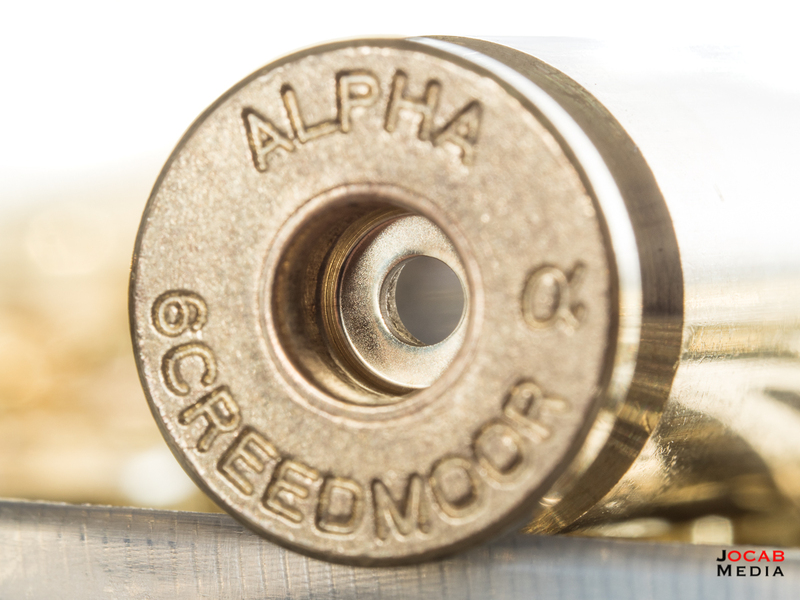 During the time I was waiting for my Peterson Cartridge 6mm Creedmoor SRP brass pre-order, Alpha Munitions made their own 6mm Creedmoor small rifle primer pocket brass available. When I discovered this, I decided to order two 100-count boxes. When I received the brass, I actually opened it up to find 6mm Creedmoor Large Rifle Primer brass, instead of small rifle. I sent a photo to Alpha Munitions and I immediately received a call back from the owner who apologized for the error. He send out the correct brass the following day along with a return shipping label, as well as a free Alpha Munitions t-shirt. 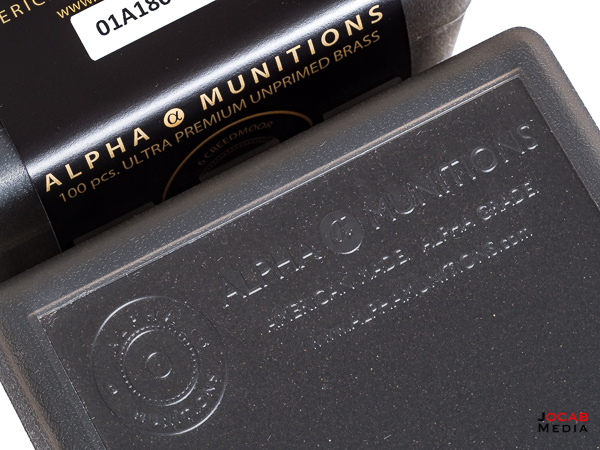 Alpha Munitions 6mm Creedmoor brass arrives in 100-count plastic ammunition boxes, which is great so you don’t have to buy more plastic ammo boxes separately for your handloads. 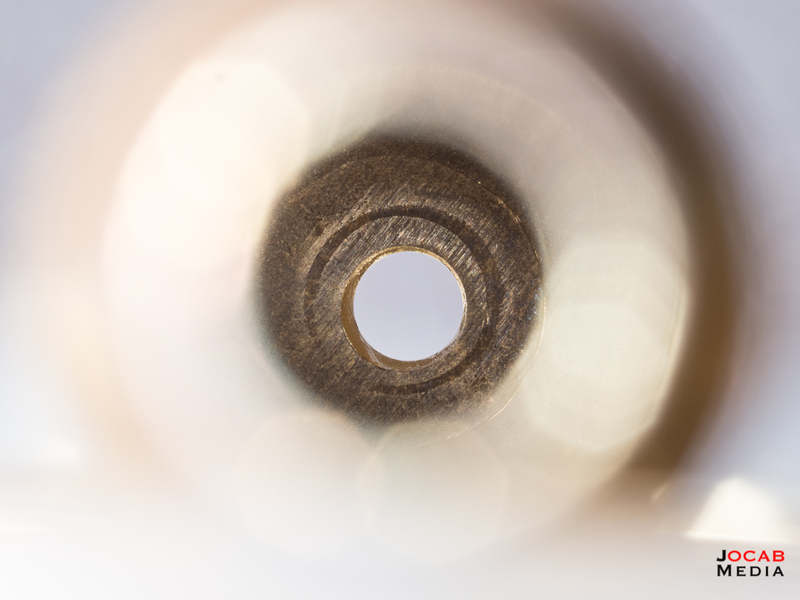 Upon examination, the Alpha Munitions brass exhibits characteristics you would expect from quality brass. The necks are concentric and clean, with no need to chamfer or deburr. The primer flash holes appear to be clean with no tags or burrs. 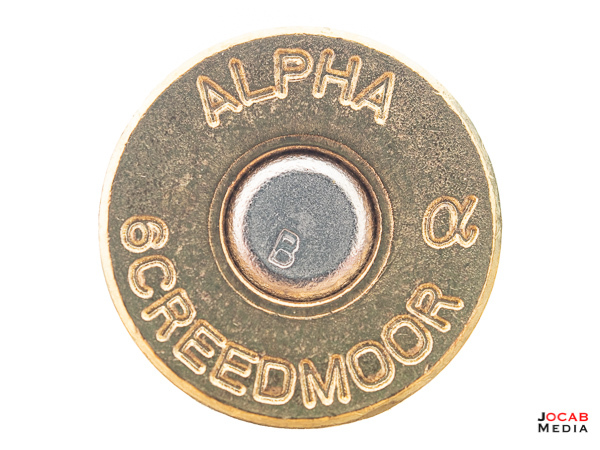 On the subject of the primer flash holes, the Alpha Munitions 6mm Creedmoor Small Rifle Primer brass uses the traditional 0.080″ (~2.03mm) flash hole diameter. This should appease many of those who use decapping or sizing dies without a small diameter decapping pin. Of course, Alpha Munitions brass is annealed as part of the production process. 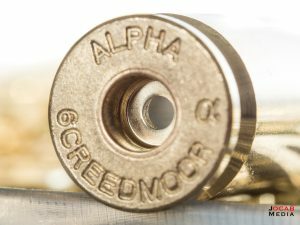 I took a sampling of twenty (20) pieces of the Alpha Munitions 6mm Creedmoor SRP brass and measured the weight, overall length, and headspace (using a comparator). What really caught my eye is the consistency in the weight of the Alpha Munitions brass. A sampling of twenty pieces of the brass had a weight spread of only 0.6gr, and taking into account the spread of the overall length of the brass is 0.004″, this brass appears to be quite consistent in terms of case capacity. 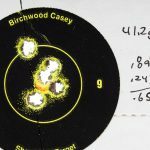 When you compare the case sampling data to Peterson Cartridge 6mm Creedmoor and Lapua 6.5mm Creedmoor brass, you can see how Alpha Munitions brass stacks up. 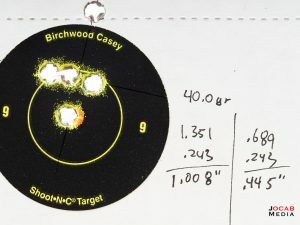 What stands out in the above table is the fact that Alpha Munitions 6mm Creedmoor brass is nearly ten grains lighter than Peterson Cartridge 6mm Creedmoor brass, and a little more than 5gr lighter than Lapua 6.5mm Creedmoor brass. 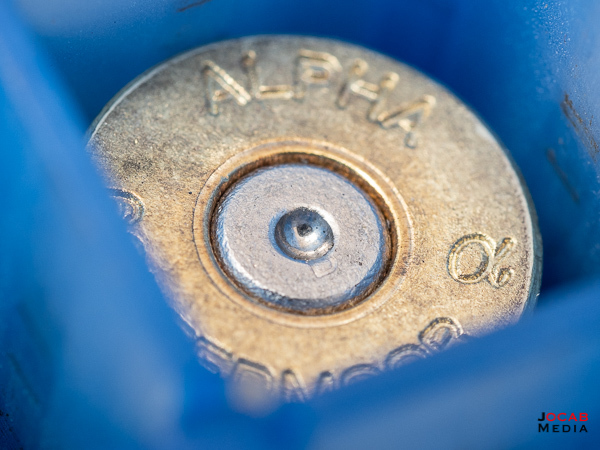 This might indicate the Alpha Munitions brass is thinner than Peterson and Lapua brass (or has less case material in general in certain areas), and could factor into more case capacity. But a more definitive test would be a volumetric measurement (e.g. liquid), which I did not do. I decided to load the Alpha Munitions brass right out of the box, with no case preparation. The brass looked consistent with only a couple pieces of brass with slightly non-concentric necks. Of course, many will argue that at the very least you should neck size brand new brass, but I was being lazy. When I seated CCI BR4 small rifle benchrest primers into the Alpha Munitions brass, I immediately noticed that the tension was more than Peterson Cartridge primer pockets, but less than Lapua. 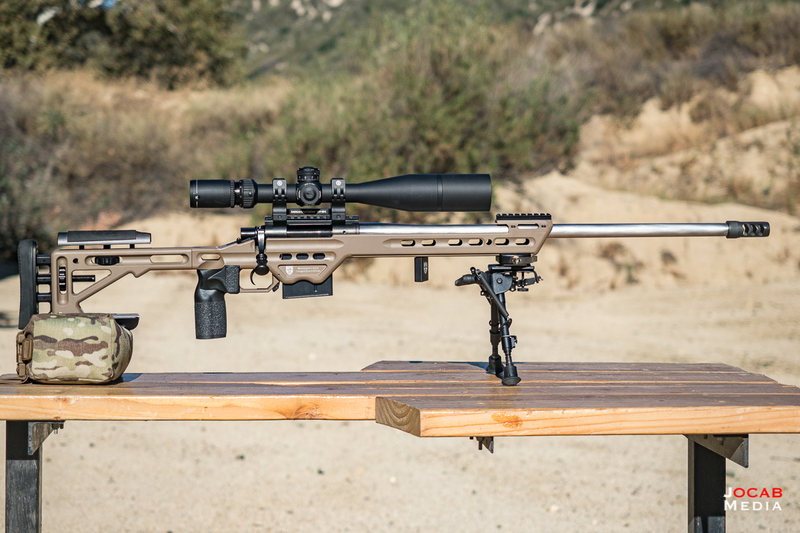 In my experience, Lapua 6.5mm Creedmoor brass has very tight primer pockets, and in my opinion, feel like they are right on the border of being too tight (and shearing or deforming the primer). 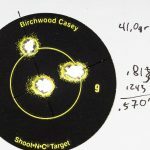 The above load is being run out of my current 6mm Creedmoor rifle built on the American Rifle Company Mausingfield action with a 24″ 1:7.5″ Bartlein barrel. 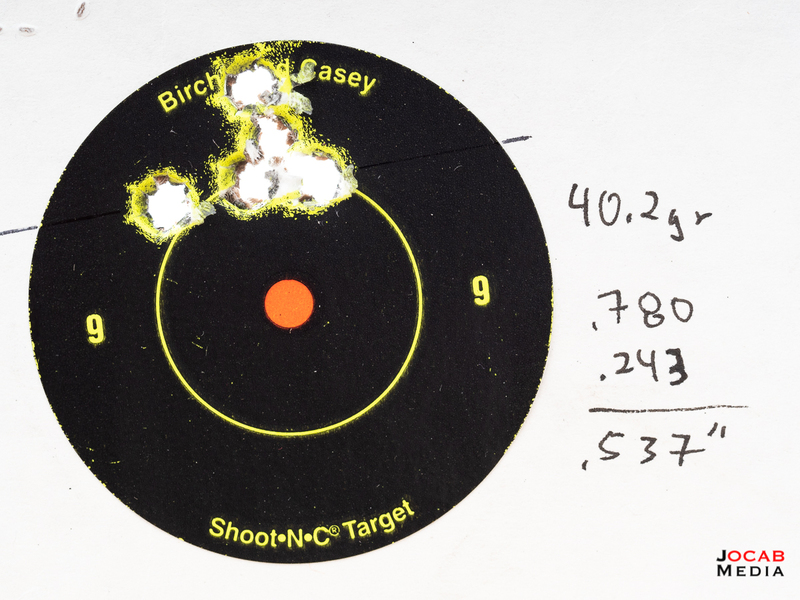 I decided to load conservatively for this brass, even though the initial case measurement data would indicate that the brass would probably need more charge weight than Peterson or Lapua brass for the same velocities. I ended up loading batches of five rounds per charge weight using Hodgdon H4350, Berger Bullets 6mm 105gr Hybrid Target, and CCI BR4 primers. The aforementioned handloads were shot at 100 yards during the chronograph testing. 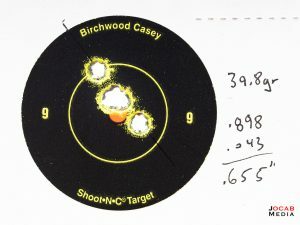 They are not completely tight and I threw a round in a couple of the groups, but you can get an idea on how each load was performing. The standard deviations of the test loads are pretty good, and the extreme spreads in some loads are quite impressive being in single digits. 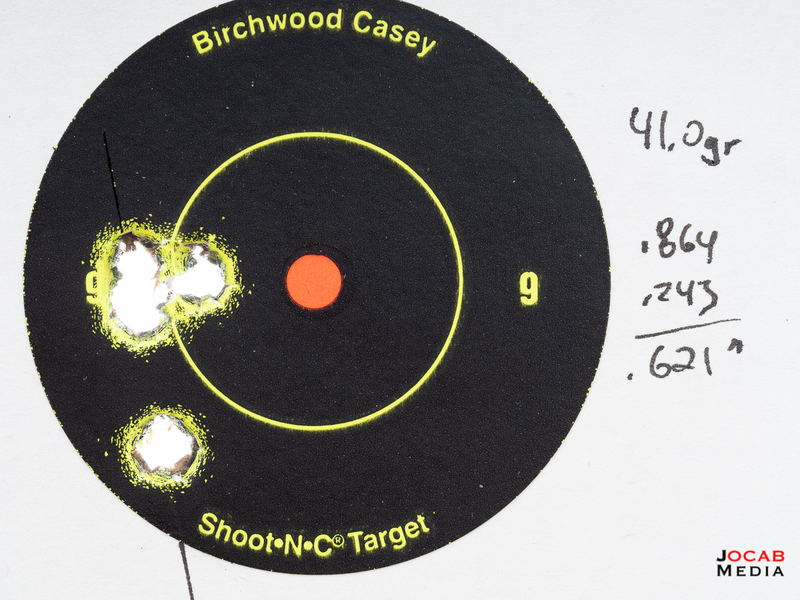 But what the muzzle velocity averages show is the fact that Alpha Munitions brass needs more powder to get the same velocities as my baseline 6mm Creedmoor load using Lapua 6.5mm Creedmoor brass (3085fps with 41.0gr H4350). 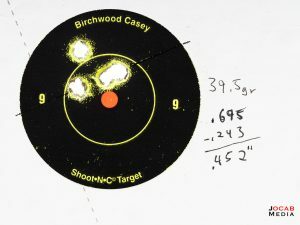 I loaded another five of 41.0gr, just so I had a control load that was also used during the initial testing in the previous range session. The third shot spiked by a good 30 feet per second for unknown reasons. 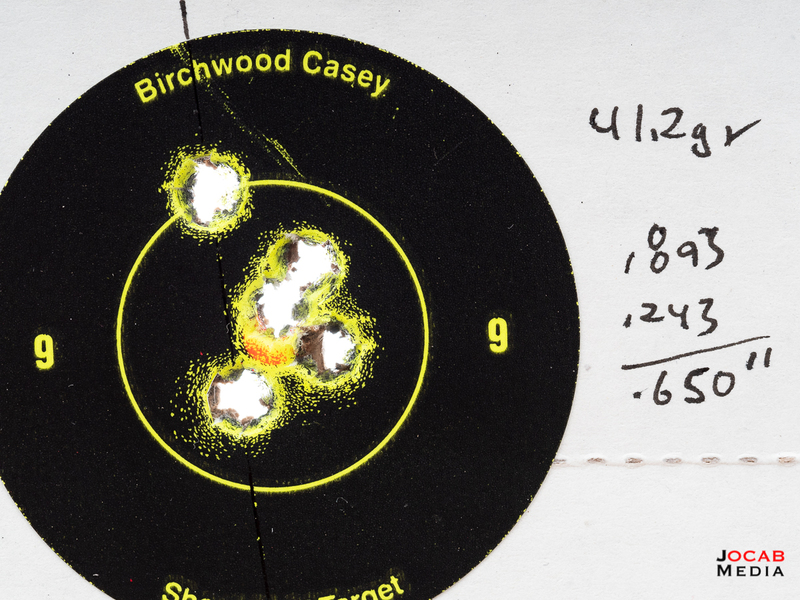 If you discount shot #3, the data for that same group of 41.0gr H4350 comes out to 3056 fps average, 1 SD, 2 ES, which is on par with the 41.0gr data from the previous range session. But it is hard to discount the third shot. Was it a mistake in my reloading process? Did I accidentally pour the wrong weight (unlikely and disconcerting)? Was my scale deviating when I weighed the charge for that particular case? It is a mystery for now. 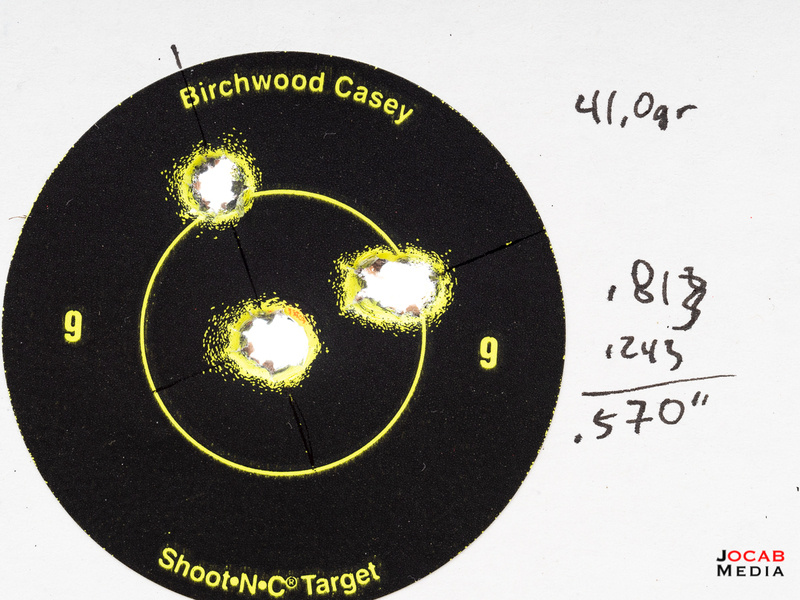 Anyway, it turns out I need 41.5gr H4350 to push the Berger 105gr Hybrid Target to ~3100 fps out of the Alpha Munitions 6mm Creedmoor Small Rifle Primer brass. 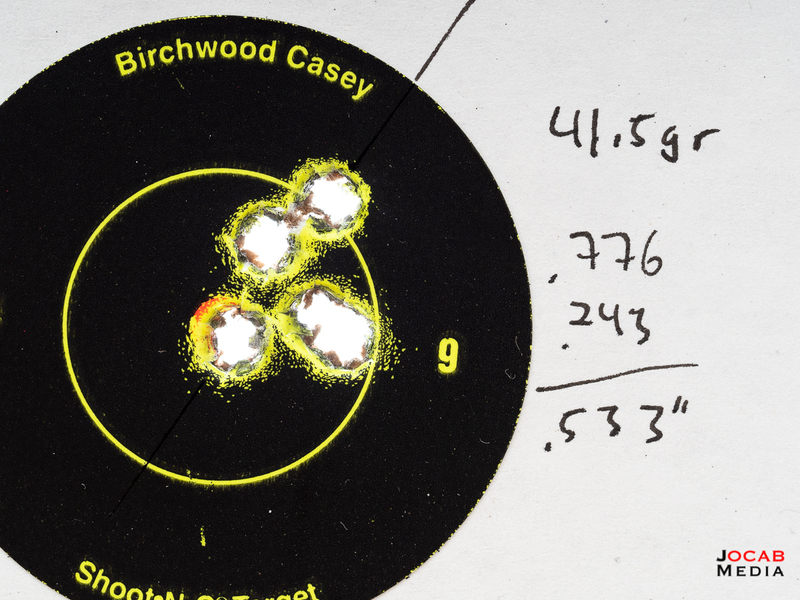 Examination of the once-fired brass from the low end (39.5gr H4350) to the high end (41.5gr H4350) showed no overpressure signs. Primer edges look distinct and there are no apparent extractor or other bolt marks on the case heads that would indicate pressure issues. So what is the initial verdict of Alpha Munitions brass? 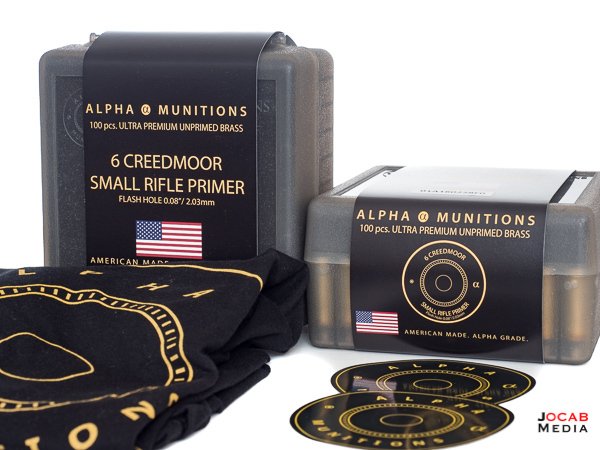 I will admit that I was pleasantly surprised by the Alpha Munitions 6mm Creedmoor Small Rifle Primer brass. The brass itself show very high production quality, in appearance and measurements. The flash hole edges look very clean and I did not see any issues with tags or burrs. 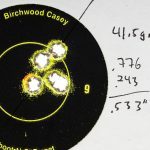 I will also admit that I have been swayed towards the smaller benchrest / PPC-style diameter flash hole of 0.059″ (1.5mm) based on the results of past reloading pioneers, as well as my own results with Lapua brass. But the fact that I was able to get small extreme spreads with my existing loading setup and the Alpha Munitions brass would lead me to believe this brass is very consistent and that the traditional 0.080″ flash hole diameter can still yield excellent results. The primer pockets are snug, albeit not as much as Lapua, so I anticipate the primer pockets should hold up over time. 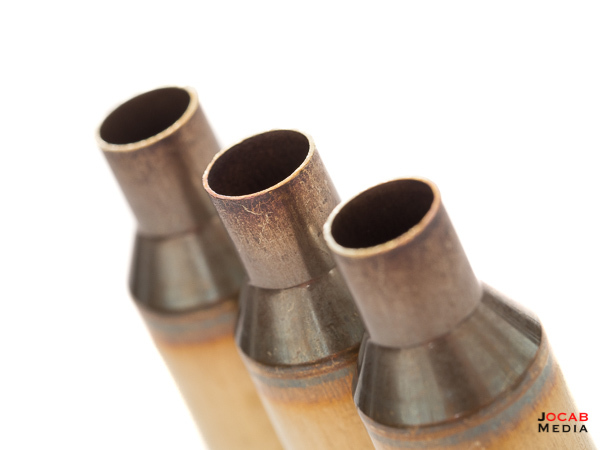 The unknown is the lighter weight of Alpha Munitions brass compared to Peterson Cartridge and Lapua. This would seem to indicate less brass material, which would hint at thinner brass. Time will tell on the longevity of Alpha Munitions 6mm Creedmoor brass. The final factor for Alpha Munitions brass is the price. 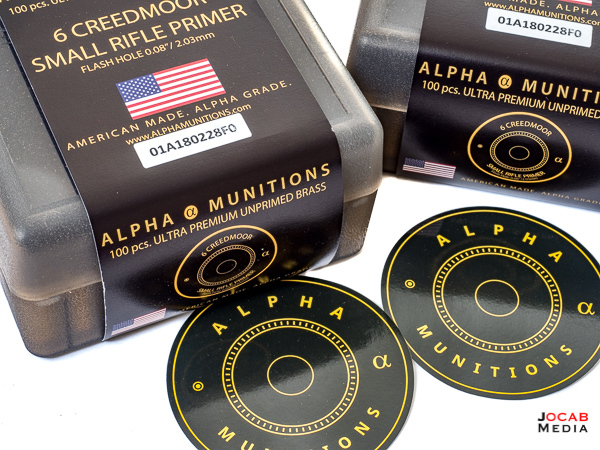 100-count boxes of Alpha Munitions 6mm Creedmoor Small Rifle Primer brass are $99, compared to Peterson Cartridge 6mm Creedmoor SRP brass which is $39 per 50 (currently priced at Grafs) and Lapua 6.5mm Creedmoor brass which runs anywhere from $100-$115 depending on the vendor and sale pricing (certain vendors often have sales or deals on Lapua brass). 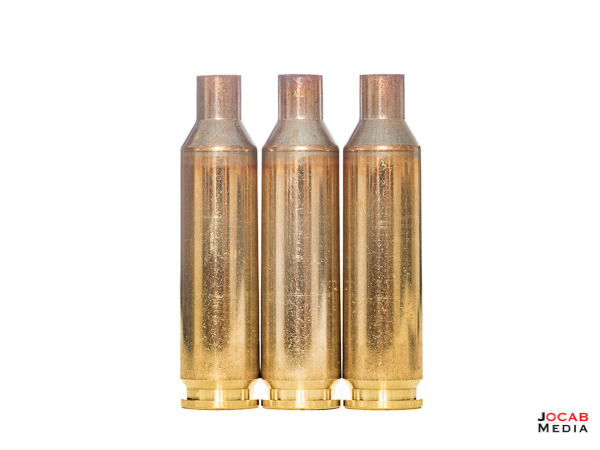 Alpha Munitions brass is priced on par with Lapua brass at 99 cents per piece vs $1.10 per piece, respectively, while Peterson Cartridge comes in at 78 cents per piece. 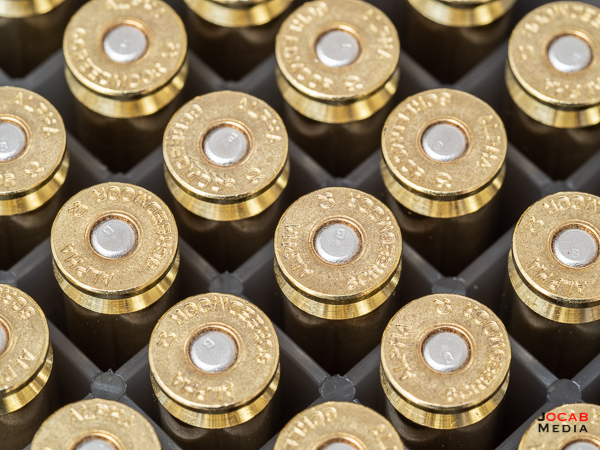 All this said, I would have to say that I have a very positive view of Alpha Munitions 6mm Creedmoor Small Rifle Primer brass. The apparent quality control and chronograph results are impressive, and the only detractor at this point is the price. I feel that the general shooter balks at the $1/piece brass price point, which is why lots of folks pass on Lapua brass in general and go with cheaper alternatives in the Creedmoor family (e.g. Hornady). For me, I have no problem paying for quality brass. 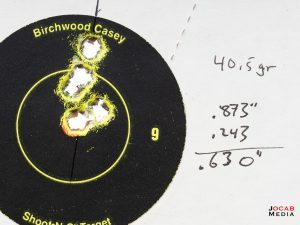 At this point in time, I have to give a solid recommendation for Alpha Munitions 6mm Creedmoor Small Rifle Primer brass, and I would select it over the existing brass that I have tried for 6mm Creedmoor, both Lapua 6.5mm Creedmoor (necked down) and Peterson Cartridge 6mm Creedmoor SRP. 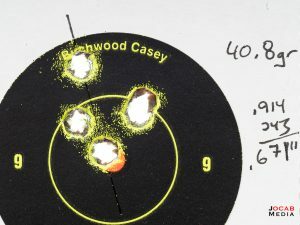 But given that I can get very good results with Peterson Cartridge brass, and the fact Peterson Cartridge brass is about 25% less expensive than both Alpha and Lapua (and is actually closer in price to Hornady brass), I am probably going to use Peterson Cartridge brass for ammo used in venues and scenarios where brass retention is not optimal (e.g. PRS-style matches). I will use Alpha Munitions brass in more controlled environments (e.g. F-Class). Now that I have two quality native 6mm Creedmoor brass options, I do not anticipate necking down Lapua 6.5mm Creedmoor brass to 6mm in the future. 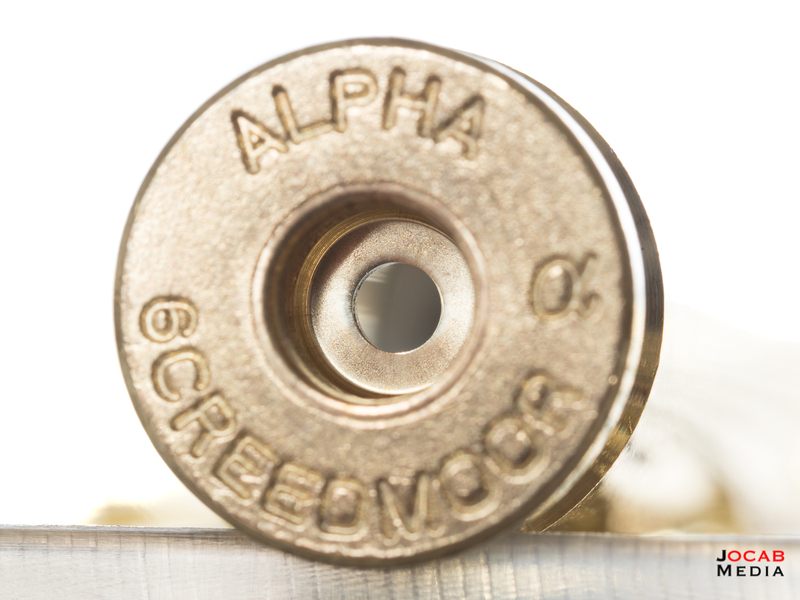 I highly recommend 6mm Creedmoor shooters give Alpha Munitions brass a try. Alpha Munitions produces both a large rifle primer and small rifle primer version of 6mm Creedmoor brass. You can purchase direct from the Alpha Munitions website at http://alphamunitions.com/.